The Messie Kitchen: No Bake Peanut Butter Pie! This dessert is truly genius. I mean look at it. Look at it!! It's done in 20 minutes and all you do is mix and chill. There are two ways to make this pie. The easy, and the easier. Amie and I are used to baking complicated desserts, so this was more than welcomed into the kitchen! Both are included in this recipe, but either way, it's a snap to whip up (literally) and a sure crowd pleasure. The texture is like a mousse, light and fluffy. You could go simple or decadant depending on the toppings you use. Feel free to create on this one! Thank you Stonewall Kitchen for this idea. 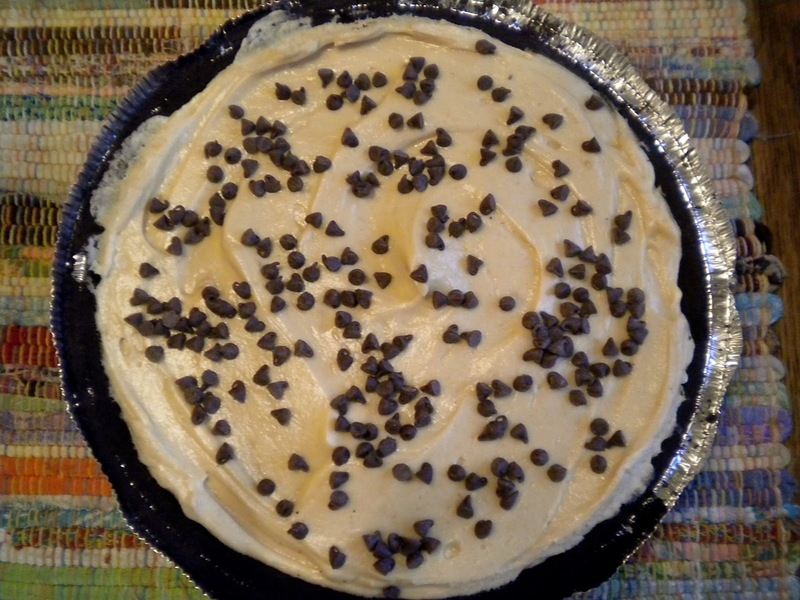 I was there earlier in the summer and this fabulous pie was just one of the recipes I picked up and adapted for my own use. Oh-me-oh-my-delicious! Try this pie when you need a quick dessert that is rich and creamy. 2. Crush chocolate graham crackers in a food processor fitted with a metal blade or by placing the crackers in a zip-lock bag and crushing them with a rolling pin. 3. Add melted butter and confectioner’s sugar to the crumbs and mix. Place crumbs in a 9 inch pie pan, pressing to line bottom and sides of the pan. Bake crust 10 minutes. Remove from oven and cool. Remove store bought crust from package, voila! 1. In a mixer fitted with a paddle attachment combine the peanut butter, confectioner’s sugar, mascarpone cheese, and vanilla extract. 2. Mix on medium speed until combined making sure to not over mix. 3. Gently fold in whipped cream into peanut butter mixture. Spread the filling evenly in the baked crumb crust. You have the most delicious looking recipes and food on your site. 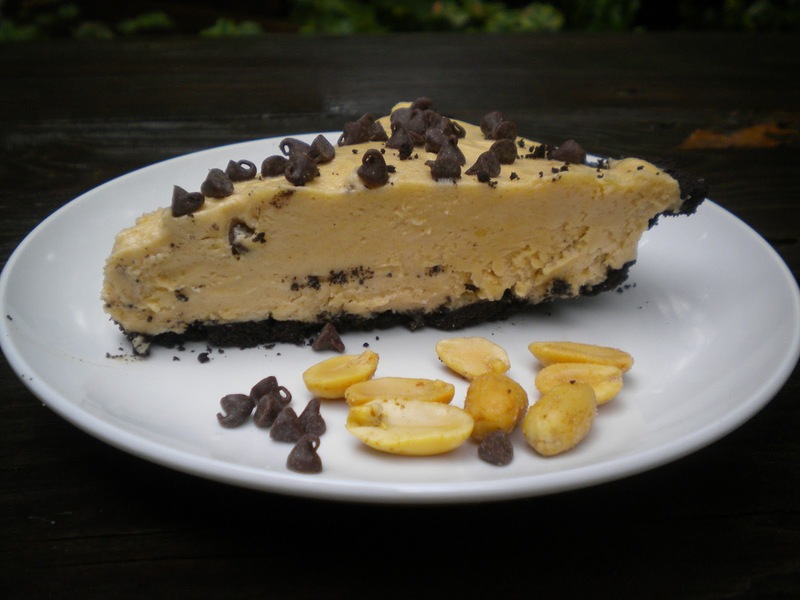 I love peanut butter pie. I haven't had it in a very long time. I think you may have inspired me for my next dessert. 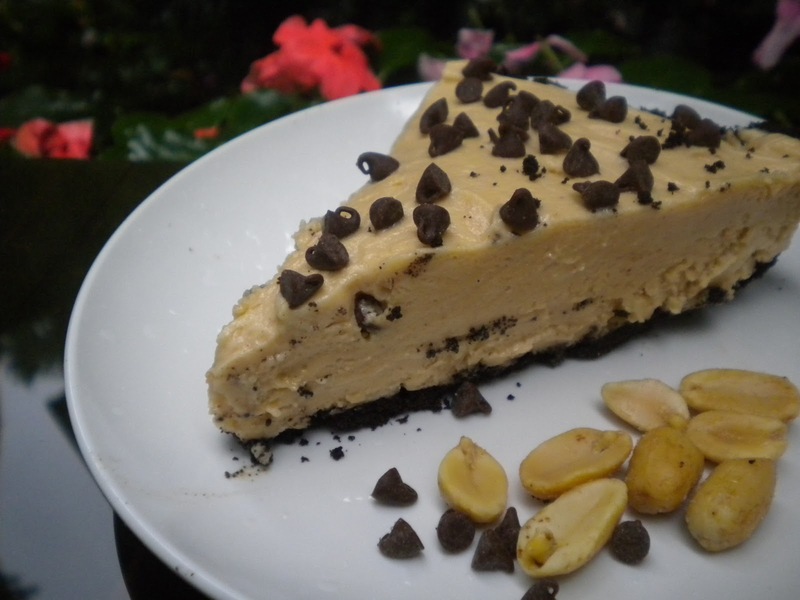 peanut butter is pretty much the way to my heart.. this looks super rich and super fabulous! 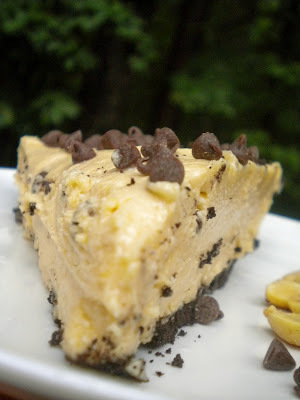 Oh how I love peanut butter pie, and yet I've never made it! I wish i had some of this for dessert tonight! Considering how how it is and how much I love peanut butter...I don't think I know of a more perfect dessert. This looks creamy and easy...just perfect! delicious - you can't go wrong w/ pb pie. and not having to bake? heck yes. 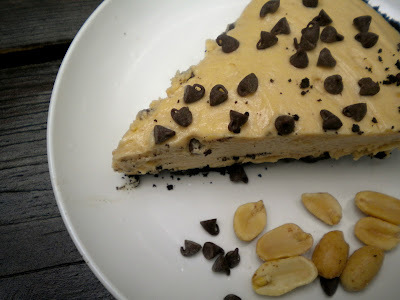 Peanut Butter Pie is one of my ALL time favorite desserts! Years ago (more than I care to count...) when I was in college, my friend and I would stop at a little restaurant in Tiburon, CA, just north of San Francisco, called Sam's and I always ordered the Peanut Butter Pie. I have never been able to recreate it, but yours looks darn close. I can't wait to try it! I can just taste this pie looking at the pictures! Looks divine! This looks yummy and delicious! My husband is a huge peanut butter fan and would love this pie, thanks for sharing! 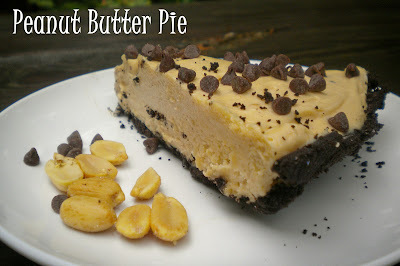 Oh this is a seriously ridiculously awesome looking PB Pie, I have got to make this 4 sure, thanks for sharing! Wow...I think my blood sugar levels just spiked from reading this! I love anything that combines these two flavors....bring it on! This sounds lovely and decadent...easy too. My husband is a HUGE fan of anything with peanut butter so I guess I'll be giving this a try. This sounds AMAZING!! I love chocolate and pb!! Too bad my boyfriend is allergic to peanuts or I would be all over this! nom nom nom. i would totally make an oreo crust. Yes indeed, anything with PB is awesome. The fact that is also easy makes it super dangerous! If there is one thing I want right now, it is this pie.